Brazil has been a WTO member since its creation in 1995 and has adopted trade remedies provided in the WTO Agreements to take corrective action against imports that, in general, are causing material injury to a domestic industry. In 2014, Brazil ranked as the top imposer of anti-dumping duties according to the WTO, when the country initiated 45 anti-dumping investigations and imposed more than 40 anti-dumping measures. However, Brazil is experiencing a slowing down in trade remedy cases initiations, as the number of cases in 2015 decreased to 38 and in the following in year to 24. As of July 2018, only nine cases have been initiated – seven new investigations and two sunset reviews. On the international front, Brazil was a target of 39 new trade remedies in 2017, which resulted in the application of 17 trade defence measures against the country's exports in the same year. The steel industry is still one of the most affected sectors, with12 cases against Brazilian exports. Brazilian poultry and sugar products have been targeted by China recently. The recent trade war may affect other Brazilian exporter sectors. Additionally, mechanisms designed to guarantee the effectiveness of trade remedies, such as anti-circumvention measures and investigations of origin, are being used more frequently. According to the WTO report on G20 trade measures,5 from 2016 to 2017 there was a significant decrease in trade facilitation measures taken by G20 countries considering the value of trade. Nonetheless, Brazil is fulfilling its WTO commitments and implementing the Trade Facilitation Agreement in order to increase transparency and efficiency of customs and other procedures related to trade. In Brazil, the imposition of anti-dumping measures is set out by Decree 8,058 of 2013,9 which abides by the rules set forth by Article VI of the GATT 1947 and the WTO Anti-Dumping Agreement. The agency responsible for conducting anti-dumping investigations is the Department of Trade Remedies (DECOM), part of the Secretariat of Foreign Trade (SECEX), both of which are subordinate to the Ministry of Industry, Foreign Trade and Services. The DECOM is the authority responsible for both dumping and injury examinations. An anti-dumping investigation in Brazil starts when local producers or business associations file a written petition with the DECOM setting out evidences of dumping, injury to the domestic industry, and the causal link between the dumped imports and the alleged injury. The dumping period shall be of 12 months, ending in March, June, September or December. Regarding the period for injury analysis, it shall comprise 60 months, divided in five periods of 12 months, given that the most recent period must be the same as the dumping period. Exceptionally, it can be of up to 36 months but no less than that. Once accepted, the merits of the petition are reviewed and the investigation is initiated. Investigations must be concluded within 10 months of the initiation date, subject to an additional eight-month extension under special circumstances. During the investigation, known interested parties are notified and have sufficient opportunity to present in writing any related evidence. Upon prior authorisation, the DECOM may conduct on-the-spot investigations at the facilities of all parties (domestic industry, importers, foreign producers and exporters) to verify the information submitted. Parties may also request confidential treatment of special information, provided they present sufficient arguments and a non-confidential summary that allows a reasonable understanding of the information. The DECOM stores all confidential documents in special files. However, if a party fails to provide information in a timely manner, denies its access or creates obstacles to the investigation, the preliminary and final determination shall be made on the basis of the best information available. Additionally, within five months of the initiation of the investigation interested parties may request hearings pointing out the specific themes to be discussed. Nevertheless, attendance of the hearing is not mandatory. According to the decree, within 120 days of the initiation of the investigation, the DECOM provides a preliminary determination about dumping, injury and causal link. The Department may recommend to the Brazilian Chamber of Foreign Trade (CAMEX)10, the imposition a provisional measure on imports of the product under investigation, providing that: (1) all interested parties have had opportunity to express their opinions about the investigation; (2) dumping, injury and causal link to the domestic industry are affirmatively determined on a preliminary basis; and (3) authorities understand that such measures are necessary to prevent any injury during the course of the investigation. In case the provisional duty is applied and certain criteria are met, such as the rapid increase of imports after the investigation, a retroactive collection of the anti-dumping duty of up to 90 days may be imposed on the imports. During the investigation, exporters may undertake satisfactory obligations to adjust prices or to cease exporting at dumping prices. The SECEX should accept and CAMEX must approve this price undertaking. In this case, the dumping proceeding may be terminated or suspended with no imposition of duties. At the end of the investigation, the DECOM issues a final determination regarding the existence of dumping, injury and the causal link between them, recommending or not to CAMEX the imposition of a definitive duty. Such anti-dumping duties are not imposed under the following circumstances: (1) insufficient evidence of dumping or injury caused by the dumping; (2) the dumping margin is de minimis (less than 2 per cent); and (3) the volume of imports subject of actual or potential dumping, or injury is insignificant. In case of a positive recommendation from the DECOM, CAMEX will hold a meeting to decide on the imposition of the duty. According to the decree, companies that fully cooperated in the original investigation are entitled to a lesser duty that is, the anti-dumping duties imposed shall be less than the margin of dumping where such amount is sufficient to remove the injury to the domestic industry caused by the dumped imports. Anti-dumping duties and price undertakings remain in force as long as needed to mitigate dumping and the resulting injury. However, these duties cease five years following imposition, subject to extension, through a sunset review procedure if there is evidence that its extinction could result in dumping and injury to domestic industry. In addition to the sunset review, the regulation also provides for a change in circumstances review (interim review). Regarding the scope and collection of the duty, procedures for new shippers', anti-circumvention and reimbursement reviews are set forth in the decree. In addition, the legal text provides for product scope and redetermination review, in case the effectiveness of an anti-dumping measure is compromised. The application of countervailing measures in Brazil is governed by Decree 1,751 of 1995, which is based on the WTO Agreement on Subsidies and Countervailing Measures. An investigation starts when local producers or business associations file a written petition with the DECOM setting out evidences of subsidies, injury to the domestic industry, and the causal link between the subsidised imports and the alleged injury. During the investigation, known interested parties are notified and have sufficient opportunity to present in writing any related evidence. Investigations must be completed within a year of the initiation date, subject to an additional six-month extension under special circumstances. Prior to completion of the procedure, but never less than 60 days from initiation, the authorities may issue a preliminary determination and impose provisional measures on imports under investigation, provided that: (1) all parties have expressed their opinions about the petition; (2) actionable subsidies and injury to the domestic industry are affirmatively determined on a preliminary basis; and (3) authorities understand the measures are necessary to prevent any damage during the course of the investigation. Measures may be imposed by paying an additional amount to the import tax or granting a guarantee. Unlike the anti-dumping regulation, a preliminary determination is not mandatory. Additionally, before the final report, which provides grounds for the final determination, there is a final hearing, whereby parties are informed of the essential facts under judgment. Afterwards, parties may submit their final arguments within 15 days. During the investigation, the export country may, of its own decision, undertake satisfactory obligations to eliminate or reduce the subsidy, adopt an alternative measure to offset the effects and have exporters agree to a review of prices. Should the SECEX accept and the CAMEX approve such undertaking, the investigation may be terminated or suspended with no imposition of countervailing duties. Countervailing duties are imposed when the DECOM finds that an actionable subsidy, injury and causal link occurred; and the CAMEX accepts the DECOM's recommendation on the imposition. The amount of duty stipulated should never exceed the amount calculated of the actionable subsidy. Unlike the anti-dumping regulation, there is no provision on the obligation to apply the lesser duty rule. On the other hand, definitive duties are not imposed under the following circumstances: (1) insufficient evidence of the occurrence of actionable subsidy or injury resulting therefrom; (2) the amount of actionable subsidy is de minimis; or (3) the volume of imports subject to actual or potential dumping, or injury is insignificant. Countervailing duties remain in force as long as needed to mitigate or to prevent material injury. However, duties cease five years following imposition, subject to extension if there is evidence that the extinction of such could result in injury to national industry. 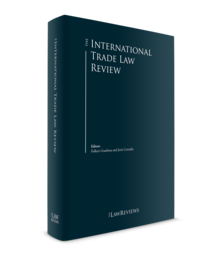 The imposition of safeguard measures in Brazil is governed by Decree 1,488 of 1995, which abides by the rules set forth by Article XIX of the GATT 1947 and the WTO Agreement on Safeguards. A safeguard investigation submission shall be filed in writing with the DECOM. The petitioner has to present sufficient elements of evidence regarding increases in imports, serious injury or threat of serious injury and causal link of both. During a safeguard investigation, the interested parties have the opportunity to submit any evidence that might be relevant. Parties may request confidential treatment of special information, if they present sufficient arguments and a non-confidential summary that allows a reasonable understanding of the information. The DECOM keeps confidential documents in special files. Moreover, hearings may be scheduled, but are not mandatory. In critical circumstances, where a delay would cause damage that might be difficult to repair, it is possible to impose a provisional safeguard measure pursuant to a preliminary determination that there is clear evidence that increased imports have caused or are threatening to cause serious injury. Consultations with countries involved must be initiated immediately after the provisional measures. It shall be applicable for 200 days at most and may be suspended once authorities decide before the 200-day period. In the case of definitive safeguard measures, the period applicable in the provisional measure shall be accounted for the first one. Similarly to the proceeding for anti-dumping and subsidies investigations, the DECOM issues a final determination recommending a safeguard or not. Then, if the CAMEX accepts it, a safeguard is imposed. Safeguard measures remain in force only to the extent necessary to prevent or remedy serious injury and facilitate adjustment of the domestic industry. It may take the form of an additional tariff, ad valorem or ad rem (specific), to the MERCOSUR External Tariff (TEC) or quantitative restriction. However, such measures cease four years following imposition. Measures may be extended if there is evidence that: (1) they are still necessary to prevent or remedy serious injury; and (2) the domestic industry is not adjusting in accordance with the agreements settled with the government. Nevertheless, the entire duration of the measure will never exceed 10 years. Measures extended shall not be more restrictive than the ones that were in effect initially, and shall continue being liberalised. In order to guarantee the effectiveness of the trade measures in force, Brazil issued anti-circumvention rules: CAMEX Resolution 63 of 2010, SECEX Order 21 of 2010, SECEX Order 14 of 2011 and SECEX Order 42 of 2013. The anti-dumping decree and SECEX Order 42 of 2013 provide rules for anti-circumvention in anti-dumping cases. The anti-circumvention investigations are initiated at the request of any interested party of the original investigation, such as the domestic industry, producers, the government of the exporting country, Brazilian importers, companies responsible for the manufacturing operation or other parties as decided by the DECOM or by the SECEX. Once accepted, the merits of the petition are reviewed and the investigation is initiated. The investigations must be concluded by the DECOM within six months of the start date, subject to an additional three-month extension under special circumstances. Brazil has established legislation for non-preferential rules of origin of trade policy, regulated by Law 12,546 of 2011, CAMEX Resolution 80 of 2010, SECEX Order 38 of 2015 and RFB Normative Instruction 1169 of 2011. The procedure certificates the origin of imported goods and intends to curb avoidance of anti-dumping measures through minor product modifications in third countries. As a general rule, Brazil applies the wholly obtained and tariff jump criteria, which aim to prevent fraud in the declaration of origin. Therefore, according to the legal text, the country of origin is the one in which the most recent substantial transformation was carried out. It also establishes a substantial transformation test as a change in tariff classification (four digits level) but excludes mere assembling, packaging, fractioning in lots, selecting, marking or diluting from being considered a substantial transformation even if they change the tariff classification. Since then, numerous investigations to examine the origin of products have been initiated. As an ALADI member, all Brazilian exports to other members are granted with a minimum tariff preference, called the regional tariff preference. ALADI members are Argentina, Bolivia, Brazil, Chile, Colombia, Cuba, Ecuador, Mexico, Paraguay, Peru, Uruguay and Venezuela.12 Additionally, Brazil has entered into free trade agreements, economic mutual assistance agreements (ACE), with several ALADI members in which higher tariff preferences were negotiated. Since 1 January 1995, there have not been tariff barriers between MERCOSUR member countries. Therefore, products originating in one member country and sold in other countries are not subject to customs duties. Furthermore, a customs union was established to take effect on the same date. MERCOSUR members have adopted the common external tariff (TEC), based on the MERCOSUR common nomenclature (MCN) to unify the import duties levied on each MCN code and, consequently, prevent cash-flow deviations in trade. The TEC acts as the bedrock for the MERCOSUR integration process. This tariff covers the majority of products imported from non-member countries. MERCOSUR and India signed a fixed tariff preference agreement in 2004, enacted by Brazil in June 2009. This agreement is currently being expanded, and the Brazilian government initiated a public consultation in 2013 to map the private sector's interests at stake. In 2009, MERCOSUR signed a trade preference agreement with the South African Customs Union, which entered into force in 2016. New free-trade agreements were not a priority in recent years owing to the country's trade policy and lack of interest on the part of the private sector. However, since the new presidency took office, this position has changed. Brazil now intends to gain greater access to markets through trade arrangements. In the same spirit, the Brazilian government recently has also been trying to reach an understanding with the United States on regulatory harmonisation. Brazilian exporters indeed face serious technical barriers to trade and phytosanitary challenges in the American market. The first step in this direction was taken in July 2015 when the American and Brazilian trade ministers signed a memorandum of intentions on bringing their countries' respective technical norms closer. In 2015, Brazil opened public consultations to map out the industry's interest in new agreements to be negotiated with Mexico, Cuba, Canada, Lebanon, Tunisia and EFTA (Iceland, Liechtenstein, Norway and Switzerland). In 2017, new consultations were opened for agreements to be negotiated between MERCOSUR and South Korea and MERCOSUR and Japan, focusing specially on tariff reduction. Brazil and Mexico are negotiating the expansion of the agreement (ACE-53), focusing on market access, services, trade facilitation, rules of origin, sanitary and phytosanitary measures, technical barriers and dispute settlement. In March 2018, negotiations were officially launched with Canada and the first negotiation round occurred later in the same month. In July 2018, CAMEX approved negotiations with Singapore. Regarding trade remedy investigations, in January 2017 the DECOM publicly consulted the minutes of a decree concerning fragmented industry. The minutes established that in case of fragmented industries, deadlines to file petitions and analyse information submitted will be determined by the investigating authority on a case-by-case basis. The DECOM received suggestions from major industry associations and is currently analysing submissions to incorporate changes in the minutes. The proposition is justified, as a fragmented industry is composed of an exceptionally large number of domestic producers and usually comprises a significant number of small and medium-sized enterprises, which are granted preferential and differential treatment by the Brazilian constitution. However, no changes have been made yet. A major change in subsidies investigations is also expected. The decree in effect was the subject of a public consultation at the beginning of 2014. The DECOM received several suggestions from industry associations, as well as from a lawyers' association and a consulting firm. However, all the comments and suggestions are still being studied by the DECOM and CAMEX, and no changes have been made yet. The same change is expected in the safeguards decree. In December 2017, the Brazilian government initiated a public consultation of a decree draft on safeguards. The purpose is to improve the proceedings, similar to those recently implemented in the anti-dumping decree, with more expedite proceedings and clearer norms. The main associations that use trade remedies presented their views. As part of the trade remedies' modernisation, the subsidies and safeguard proceedings became electronic from June 2018. Additionally, the Superior Justice Court, by the Federal Jurisdiction Council, formally recommended that federal courts should have specialist competition and international trade law judges.18 It is allowed that trade remedies measures are challenged at judicial levels; however, these are usually challenged at an administrative level. In 2016, Brazil initiated its first double remedies (anti-dumping and subsidies) investigations on Chinese exports (hot-rolled steel). The investigations are a milestone in Brazil's trade defence system. In February 2012, through CAMEX Resolution 13 of 2012 and Resolution 29 of 2015, the Brazilian government established and regulated the Technical Group of Public Interest (GTIP) to analyse the suspension or amendment of anti-dumping and countervailing measures, as well as non-application of provisional measures, for public interest reasons. According to Brazilian trade defence regulation, public interest may be applied by CAMEX only under special circumstances. According to these resolutions, the GTIP's role is to analyse, in an independent procedure, the public interest when imposition of a trade remedy is perceived to cause more injury than benefits. In its analysis, the GTIP assesses the impacts of the duty in the chain of production, availability of like products from other countries, market structure, competition between players and its adequacy with public policies, among other factors. However, the GTIP does not analyse dumping or actionable subsidies and injury from such practices, or any matter for which the DECOM or the SECEX are responsible. In April 2017, CAMEX Resolution 29 made significant changes to the GTIP. The Resolution brought two major changes to the previous legislation. First, the public interest procedure does not prejudice the possibility that CAMEX decides based on public interest according to a proposal presented by one of its members. Second, the GTIP will examine each recommendation of extension of duties owing to sunset reviews to determine whether there are grounds to start a public interest procedure. A procedure starts when a request is filed with the Secretariat of Foreign Affairs (SAIN), within the Ministry of Finance. After filing, the GTIP examines the documents and may request supplemental information, if needed. Then, the GTIP submits to the Executive Management Committee (GECEX) of CAMEX its recommendation to start or not a procedure of public interest. Once the procedure is accepted, a notification is made public. During the procedure, the GTIP may conduct an on-the-spot investigation if it finds it necessary to verify the information submitted by the parties. In case a party does not comply with the GTIP's request for the on-the-spot investigation, the best information available may be used instead. The new resolution provides that in case of any requests or challenges during the procedure, the GTIP's secretariat is responsible for deciding on the matters. Finally, the new resolution provides that, once the procedure is finished, the GTIP will hold a meeting with all interested parties before presenting its conclusions. Attendance at that meeting is not mandatory and will not prejudice any party. In addition, the ministries may provide arguments before the meeting. After the meeting, the GTIP will present its conclusions to CAMEX. In case the GTIP starts its procedure during an ongoing investigation, its conclusions should not be presented to CAMEX before the final determination for the imposition of anti-dumping or countervailing duties are considered by the bodies. Regarding WTO dispute settlement, Brazil is involved in several cases, as either complainant or respondent. The country is currently defending certain measures concerning taxation and charges in the automotive, electronics and technology industries in Geneva, and other measures that potentially affect all of its exporters. A first case against these measures was filed by the European Union in 2013 (DS472), and a second case was filed by Japan in July 2015 (DS497). As the cases discuss the same matter, the panel issued a joint final report. In September 2017, the Brazilian government appealed the panel decision. In 2014, Brazil requested consultations with Indonesia regarding measures imposed to restrict the importation of chicken meat and its products (DS484). Brazilian chicken meat exports face a variety of barriers in Indonesia owing to restrictive rules and procedures, such as non-approval of health certificates, quarantine and the need for approval by multiple agencies, among others. One year later, Brazil requested the establishment of a panel, which was composed in 2016. The panel's final report was circulated in October 2017, with a recommendation that Indonesia bring into conformity the restrictive measures. non-transparent and restrictive import licensing requirements. The case is in consultation and the European Union, Australia, New Zealand and Chinese Taipei requested to join it. In 2016, Brazil also requested consultations with the United States regarding the imposition of countervailing measures on imports of cold and hot-rolled steel flat products from Brazil and some aspects of the investigation conducted by American authorities (DS514). The request states that the investigation, initiated by the United States, did not have sufficient evidence and based on inaccurate data concerning the regimes, as well as refusing to terminate the investigation and accept relevant information. Investigation documents are unclear about whether the final determination was based on positive evidence or an objective examination of the facts, and duties were calculated in excess. The case is still under consultation. That same year, Brazil requested consultations with Thailand concerning subsidies provided by the country to the sugar sector (DS507). The case questions the sugar regime that controls every aspect of the sector in Thailand, from production to storage, transport and sales operations (including import and export). The case is still under consultation, and both the European Union and Guatemala requested to join it. Finally, in 2017 Brazil requested consultations with Canada regarding trade in commercial aircraft (DS522). As per the request, Canada granted substantial subsidies to aircraft producers in the form of loans and other financial contributions, which are prohibited and actionable subsidies. The consultations received requests to join by the United States, the European Union and Japan. Brazil is an active participant of the WTO's Dispute Settlement Body. In addition to being a complainant and respondent on several cases, the country participates as third party in many cases. Recently, the CAMEX approved a study concerning the possibility of initiating a consultation with regard to newly imposed safeguard measures against sugar and the dumping of Brazilian poultry. The Brazilian economy gradually recovered in 2017, with growth for both imports and exports. The European Union, the United States, China and Argentina remain Brazil's main partners in bilateral trade flows source of imports. Brazil is expected to remain a major player in the global trade of certain agricultural commodities; however, the manufacturing sector expects to stop its continuous decline in percentage of the country's GDP. The manufacturing industrial sector expects to continue facing hard times in terms of competitiveness. Nonetheless, recent measures adopted by the companies to face crisis challenges, recently sanctioned amendments to the labour law and possible other reforms under discussion may ensure the industry better conditions to compete in local and foreign markets. Government actions to facilitate trade and grant market assess may also drive companies' strategies in the international trade area. The trade flow growth accompanied by unfair trade may lead to a new increase in the initiation of remedies compared to the relatively slow trend started in the middle of 2016. In that case, four factors may help to create an environment that ensures trade remedies continue to play an important role in the Brazilian trade policy strategy. The first is the aggressive export policy adopted by third countries. The second is the increasing number of trade remedies users in Brazil. The third is the recent amendments and improvement in the regulations, specially the anti-dumping, and the upcoming changes in the subsidies/countervailing measure regulations. Finally, Brazil's experience in the field, with several trade remedies investigations being carried out by the authorities in the past five years, placed the country as a significant user of trade remedies globally. China's market economy status is still a major uncertainty in the trade defence area in Brazil. Similar to other countries, Brazil currently does not recognise China as a market economy. After the expiration of the provision set forth in the China's Protocol of Accession to the WTO on 11 December 2016, Brazil has placed itself in a position to wait for other countries' positions and is closely following challenges brought by China against the European Union under the WTO's Dispute Settlement Body. In 2018, one sunset review and two new original cases were initiated against China. However, there have been no discussions on market economy status so far. 1 Fernando Benjamin Bueno is a junior partner and Milena da Fonseca Azevedo is a lawyer at Demarest Advogados. 4 DECOM's Report, 2017: http://www.mdic.gov.br/images/REPOSITORIO/secex/decom/Relat%C3%B3rios_DECOM/Relat%C3%B3rio_2017_final.pdf. 10 The Chamber is responsible for formulating and implementing foreign policies, promoting trade, investments and international competitiveness, and ultimately is responsible for imposing provisional and definitive duties in trade remedies investigations. The CAMEX is composed of a council of ministers from the following ministries: Ministry of Industry, Foreign Trade and Services, Ministry of Finance, Ministry of Planning, Ministry of Foreign Affairs, Chief of Staff Office, Ministry of Agriculture, General Secretary of the Presidency of the Republic and Ministry of Transports, Ports and Aviation. The CAMEX is under the Ministry of Industry, Foreign Trade and Services, and its president is the minister of state of the same ministry. 11 Preamble of the Montevideo Treaty.